Barrett-Jackson auctions have always played to American enthusiasts of American cars, with the vast majority of its lots typically having been built right here in the U.S.A. Muscle and pony cars feature heavily in collectible American classics, and to that end, there’s no shortage of Chevrolet Camaros this year at Barrett-Jackson’s annual Scottsdale event. Here are seven cool Camaros to keep an eye on while you’re watching the auction live on Motor Trend Network January 12–20, 2019. 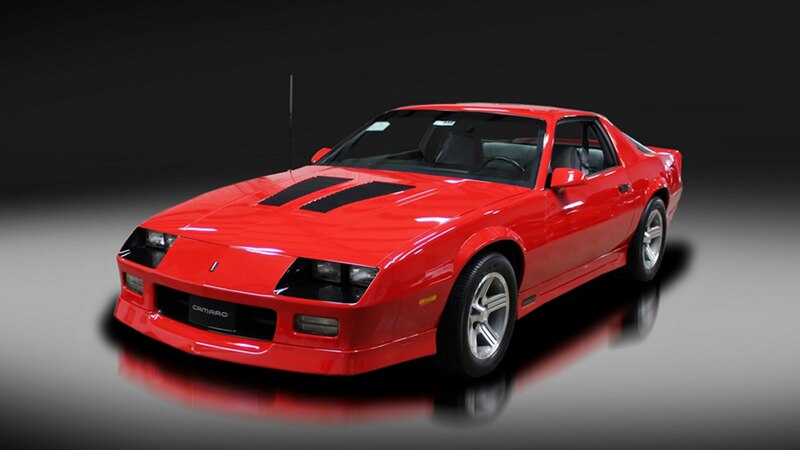 The current Camaro 1LE is an Automobile favorite with pretty much any of its three engine options, but to understand the significance of the model designation you have to go back to 1989, when Chevrolet first offered a 1LE trim options group to better equip the Camaro IROC-Z for SCCA Showroom Stock racing. The 1LE trim wasn’t a specific package that could be ticked off on a list, but instead was automatically specified when a car was ordered with deleted air conditioning and the G92 performance axle. Extra 1LE items included performance brakes, an aluminum driveshaft, a baffled fuel tank, and firmer shocks and springs. With just 1,400 miles on the odometer, this 1LE is one of just 62 built in 1990, the second and final year of production, and one of just 34 with a five-speed manual gearbox. It still wears its original Goodyear Eagle tires and all factory documentation from new is included. A total of 111 1LE cars were produced in 1989 for a final build tally of 173. 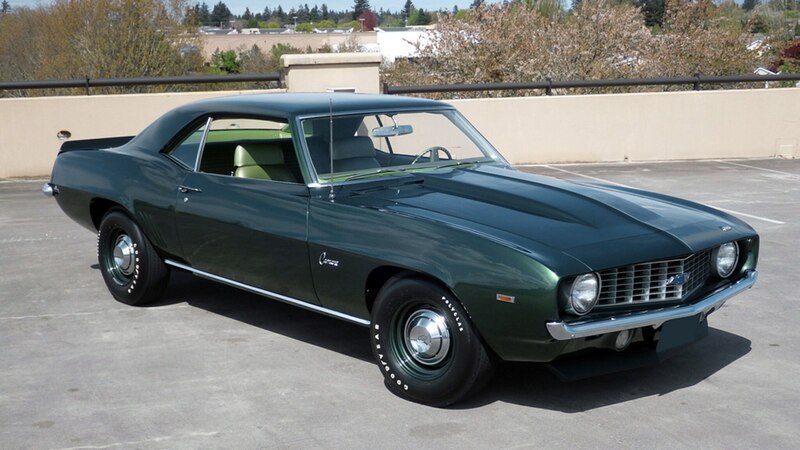 We love the metallic green paint on this ’68 Z/28, and the fact that it has a recently rebuilt, matching-numbers 302-ci V-8 under the hood makes this one all the more sweet. 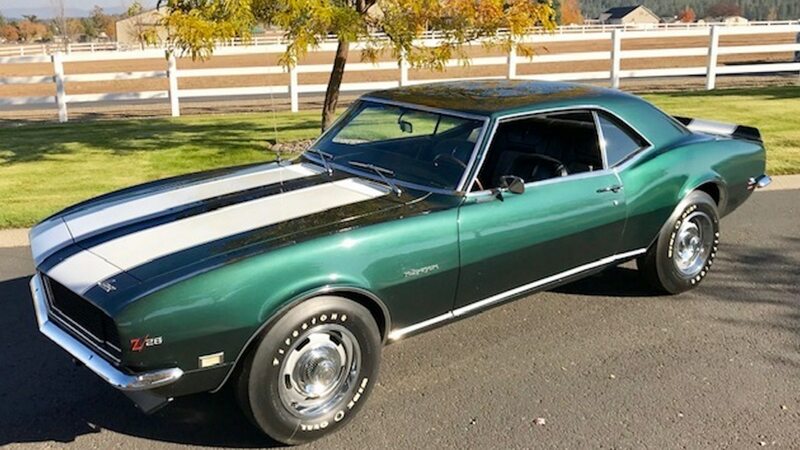 Paired to a four-speed manual gearbox and wearing period-correct Firestone Wide Oval reissue tires, this Camaro also has its original NCRS shipping data report, receipts for the engine rebuild, and original Protect-O-Plate, and is said to have been authenticated by model expert Jerry MacNeish. 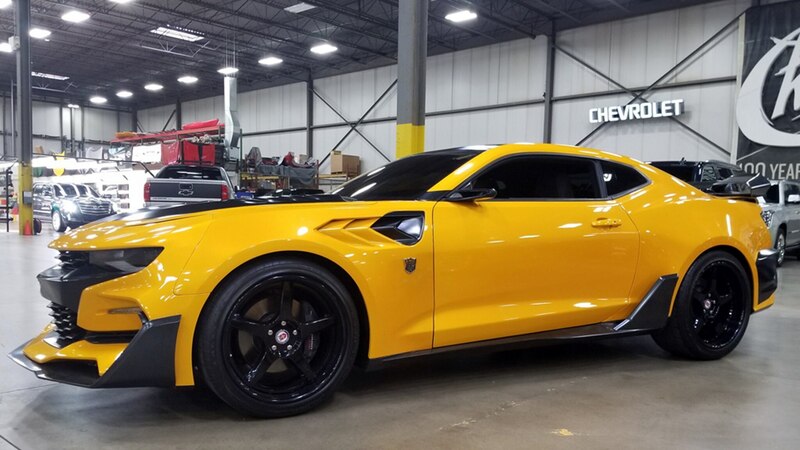 Delivered new at Dale Chevrolet in Waukesha, Wisconsin, this is said to be an honest-to-goodness COPO Camaro. COPO stands for Central Office Production Order, essentially a special-order program through which dealers could spec special equipment. This Camaro was ordered with a 427-cubic-inch/425-hp Corvette engine, Muncie four-speed manual gearbox, and Posi-traction differential. Barrett-Jackson claims this car was given a rotisserie restoration to concours standards, but we’d find it pretty tough to keep this one mothballed and show-field-ready if it were under our ownership.